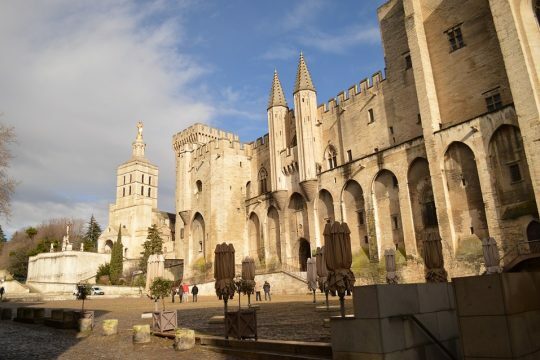 This private tour of Avignon will take you through the city of Avignon and especially to the former Jewish section and the Synagogue rebuilt in the 19th C. You’ll learn about the “Jews of the Pope” from the Middle Ages to the French Revolution. 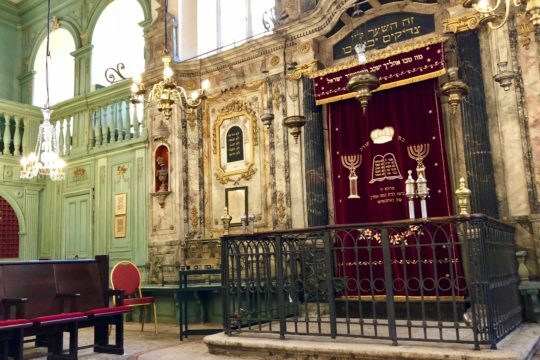 During centuries, Avignon and the other towns owned by the Popes in the South of France, were among the only places in Europe where Jews could live. 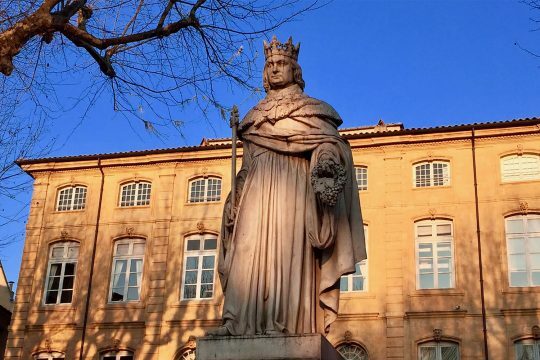 The popes protected these communities but there were many restrictions and discrimination. They ended up with kind of Ghettos called “Carrières”. 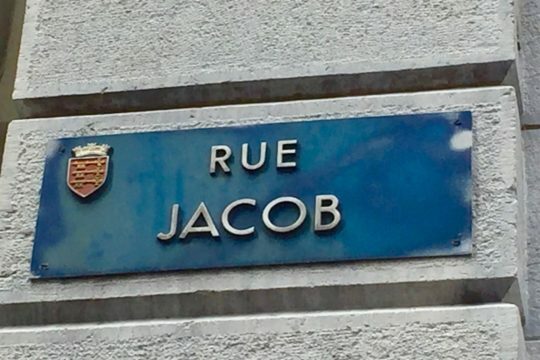 This was the name given to the Jewish street. 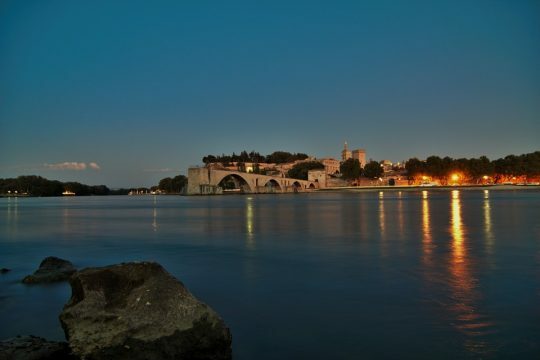 Next, your tour will take you to the Pont du Gard which is the most spectacular section of the Roman aqueduct that was built to provide the town of Nîmes with water. Your tour guide will take you to a kosher winery making excellent Côte du Rhône wine if this is of interest to you. 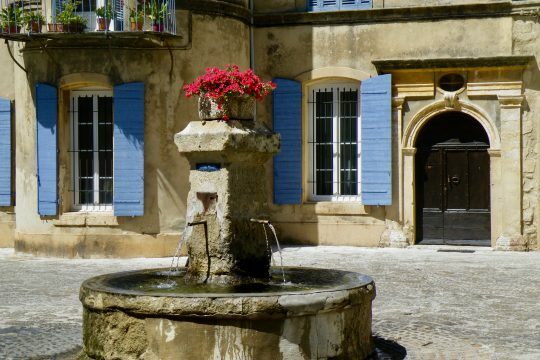 Time permitting, you’ll end up in a lovely village in the surroundings of the Pont du Gard or in the adorable town of Uzes where you’ll discover the Duke’s castle (outside), beautiful streets lined by nobles houses and one of the loveliest squares of Provence. 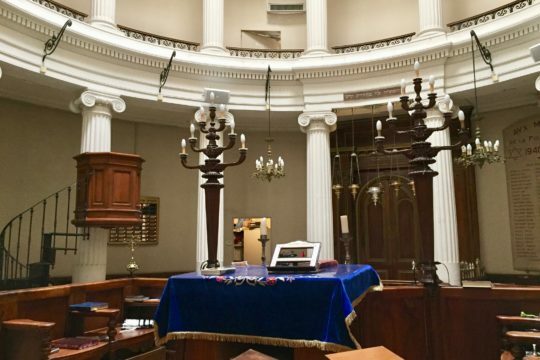 We could also combine Avignon with Carpentras and its outstanding Synagogue nearby.